We generally consider the area where we live as grassland. The scientific term used to be called “False Bankenveld” (Acocks). However, according to the new “Vegetation Map of South Africa, Lesotho and Swaziland”, it is now referred to as the “Carletonville Dolomite Grassland Vegetation Unit” (Mucina and Rutherford – 2006). For the purposes of this website, lets just stick to “grassland”. When one talks about grasslands, one tends to think the area comprises of grasses only. After all, this is usually all one sees, grasses and nothing else. This is, however, not the case at all! In reality, grasslands include many flowering plants, growing amongst the grasses. In fact, some grasslands actually have more flowering plant species than grass species! 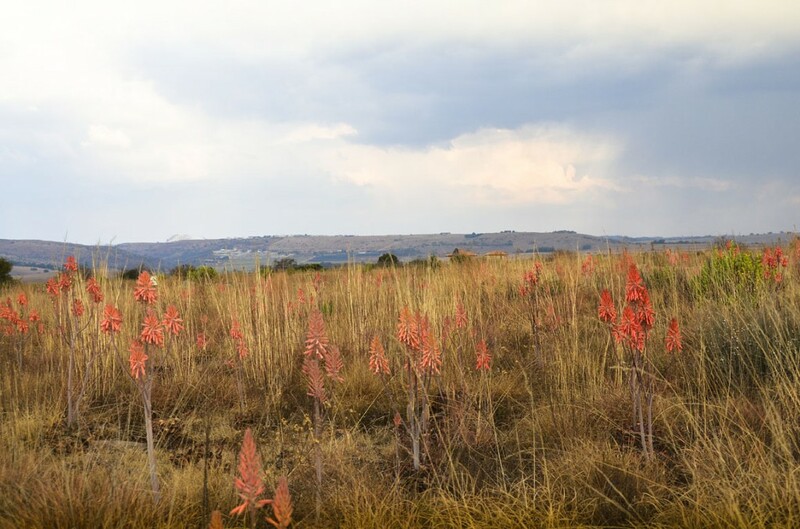 The area where we live, the Carletonville Dolomite Grassland, boasts in particular, an exceptionally wide range of flowering plants. The flowering plants in our area are well adapted and have evolved many characteristics to survive the hazardous and often harsh conditions associated with South African grasslands. Fire is usually a constant threat to flowering plants. So too is grazing by herbivores and insects. However, our flowers are unique in the sense that they have evolved particularly clever adaptations to live with these threats. Many species have large tubers, bulbs or other underground root systems, to protect them against veld fires and to ensure their survival after a fire. They also live for many years, even centuries in some instances. Many species produce seeds that will only germinate after being exposed to fire. The flowers of others mimic the appearance of the grasses to prevent them from being eaten. Therefore, don’t expect the splendour of the Western Cape flora or the flowers along the KZN coastal regions. The flowers of our area are usually small and inconspicuous, and are often overlooked altogether. Herewith some of the flowering plants found in our area.